Regular massages help with pain management. The therapist can concentrate on stiff muscles and specific problem areas, loosening them and increasing blood circulation. This temporarily relieves pain from sports injuries, arthritis and other conditions. 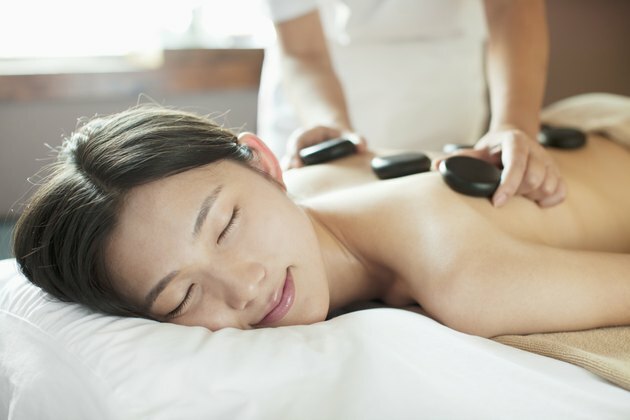 You may not need as much pain medication if you get massages regularly. Many studies have shown regular massages support immune system function and decrease stress-related hormones that can lower immunity. For example, New Jersey researchers found college students who were stressed about an upcoming exam had better immune system function and less anxiety when they received a massage. Studies at the Touch Research Institutes in Miami showed that massage relieves fibromyalgia-related pain. The Journal of Clinical Rheumatology reports massage therapy lowered stress hormones, anxiety and depression in fibromyalgia sufferers and worked more quickly than transcutaneous electrical stimulation. Massage therapy can help you to manage emotional disorders such as depression or anxiety as part of an overall treatment plan. Massage is soothing, nurturing and relaxing. It can improve your state of mind if you concentrate on releasing negative thoughts during the treatment. You can incorporate visualization exercises in which you picture yourself in pleasant surroundings during the massage. Tiffany Field, executive director of the Touch Research Institutes (TRI) in Miami, discovered massage can improve ADHD symptoms in teenagers. Adolescents who received ten or 15 minute massages for 10 consecutive days all showed positive changes. They felt happier and their teachers reported better behavior. Other TRI studies have shown that youngsters with ADHD benefit from twice-monthly massage therapy.